People who feel lost, confused or frightened can now seek help from Sewell on the go staff after the business gave its backing to a new scheme supporting vulnerable members of the community. Sewell on the go is one of the first businesses in Hull to join the Safe Place scheme, which is designed to help people who have a disability, dementia, or who are vulnerable in terms of being bullied, harassed, lost or confused, while they are out and about. Safe Place stickers now are displayed in all 12 Sewell on the go store windows, as well as a wide range of public places including shops, community centres and libraries, to show they are a “safe place” to go and seek help. Individual members of the public, who have been identified as benefiting from the scheme, carry a card containing their details and who to contact on their behalf, which could be a family member, carer, social worker or police on 101 in case of an emergency. Staff have been trained to help with a range of issues which vulnerable people may experience, including transport problems and support they can offer if someone is hurt, ill, scared or lost. Sergeant Mike Leach, who is based in Humberside Police’s Community Safety Unit in Pearson Park, west Hull, said: “We are delighted to have support from Sewell on the go and the skills gained by staff are transferable to any customer. “Sewell on the go stores are 24/7 and it’s about building relationships with reputable businesses and people we can trust, so it works both ways. “With an aging community, dementia and health issues are becoming more prevalent. 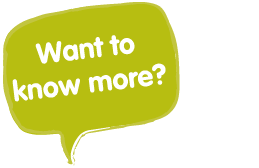 We work with partners, charities and agencies to identify people who have an involvement with vulnerable people, and work with businesses to promote the scheme. “Vulnerable people can go to these dedicated places and they know they will be treated with dignity and respect, with their loved ones contacted to help them out. 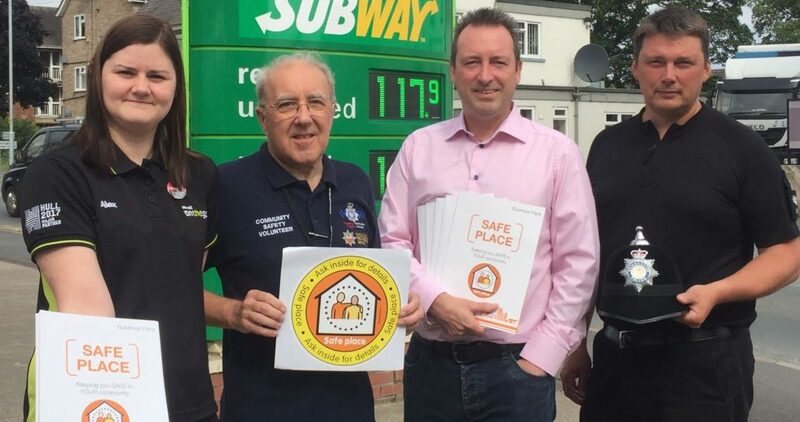 The Safe Place scheme is run by Humberside Police and supported by Humberside Fire and Rescue Service, Hull City Council, East Riding of Yorkshire Council, North Lincolnshire Council, North East Lincolnshire Council, and the Police and Crime Commissioner for Humberside, Keith Hunter. Patrick Sewell, Managing Director of Sewell on the go, said: “Dementia, in particular, is a growing issue. “People can become lost or confused, so carrying this card makes things easier for them and is instantly recognisable to our staff. If someone came into one of our convenience stores and was disorientated or needed help, we would help them anyway. But the card makes it easier for us to identify who to contact on their behalf. Alex Bilton, Manager at Cottingham Sewell on the go, said: “We are a safe place for people to come and we can find out what they need from us, whether it’s water, or calling someone to come and collect them. Sewell on the go is already a safe haven for Fitmums & Friends runners and walkers, as well as providing defibrillators at most of its stores to benefit the community. Further investment is being made to include more sites, with the hope of ensuring all 12 have a defibrillator within the next 18 months.